“Her weapon was her reviews,” said Normand. 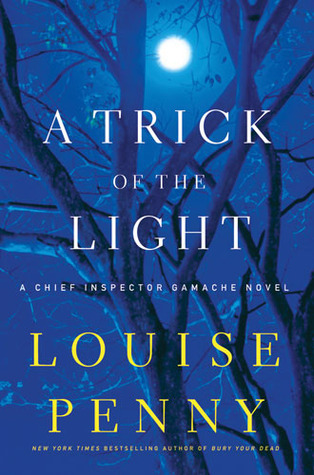 I finished reading A Trick of the Light by Louise Penny and this mini-scene is the near the end of the novel where the protagonist, Chief Inspector Armand Gamache, is solving the murder of art critic Lillian Dyson, whom died an artist’s home after a gallery showing. This mini-scene reveals a lot about creativity, the sensitivity of artists, and need for recognition and approval from reviews. Something to keep in mind and how the power of fiction has a way of revealing human nature better than any other of artistic medium out there. Penny does an excellent job creating characters that captures and captivates a readers’ interest and making you feel connected to their journey throughout the novel. 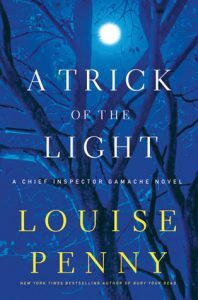 I’m not a mystery buff but after my second Louise Penny novel in the past few weeks, I plan to read the entire Chief Inspector Armand Gamache series for my pleasure reading. A Trick of the Light is one of my favorite reads of 2017 and highly recommended. If you looking for a great series to read that transcend the genre as well as being entertaining, then you will find it in these novels by Louise Penny.